BRWIA has partnered with Lettuce Learn to offer a family-friendly morning component to the High Country Farm Tour! 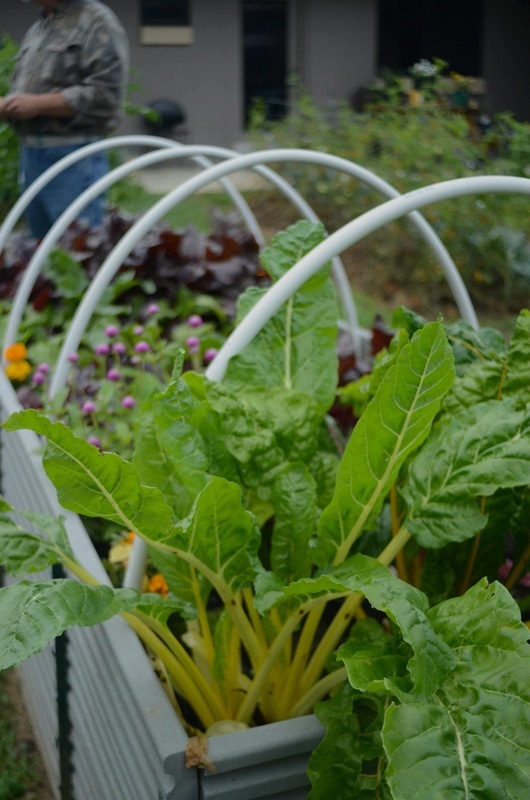 In it’s inaugural year, the Boone Gardens Tour will feature 5 community gardens within Boone Town Limits that grow enormous amounts of food in a small space. When guests visit the Hospitality House they will see the hard work and dedication residents, community members, and volunteers put into this garden. We have 28+ raised beds where we grow vegetables, fruit, and herbs for residents' use and the HH kitchen that serve three free meals a day to the public. This year we included a Chicken Coop with a urban design and have chickens that help improve the compost for the garden and acts a model for teaching residents and kid's about the importance of permaculture in the garden. Our hope is that teaching residents gardening skills will allow for food security for them in the future. Please come support the Hospitality House and come see the Chickens! 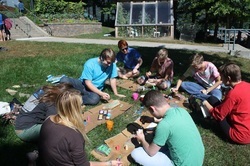 Mountain Pathways Montessori is in its first year of developing our Norwood House campus into a microfarm. We will be producing a variety of fruits and vegetables to sell at our roadside farm stand and to donate to F.A.R.M. Cafe. We will have children's activities and tours given by our 9-12 year old campers. We will offer a tour every 1/2 hour. Visitors will learn about a grass-roots community garden that grows produce for the local food bank, Hospitality House, and F.A.R.M. Cafe. The Mary Boyer Community Garden is planned, planted, cultivated, and harvested completely by volunteers, and provides food for anyone who is hungry. We experiment with new and fun ways of gardening, but also just try to grow as much food as we can. 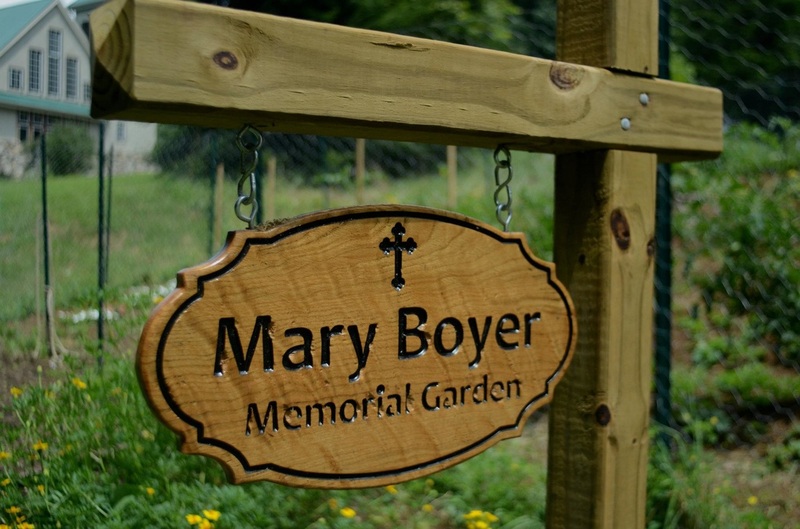 The Mary Boyer Garden is a special place, not just a garden, but a garden where a community comes together in keeping with our spiritual ideals of helping one another, working cooperatively together, and feeding the hungry. The ASU Edible Schoolyard is an organic teaching garden for university, public school classes, and the community to learn about organic gardening. There are 13 raised beds available for our adopt-a-plot program. The garden includes vegetables, fruits, herbs, and flowers. The garden is an oasis on campus that welcomes walks, picnics, and the enjoyment of nature at it's finest! Visit our learning garden to see how the Lettuce Learn Project is transforming schoolyards into landscapes of learning. 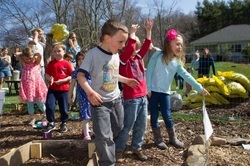 You can see our solar-powered STEM shed, outdoor classroom, pizza garden, "Tops and Bottoms" garden, 3sisters garden, sensory garden, pea and pole bean tunnel and much more. 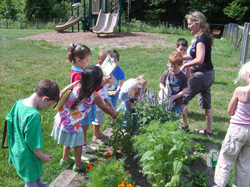 We will be offering examples of our garden lessons offered to preschoolers throughout the day so kids will love it! 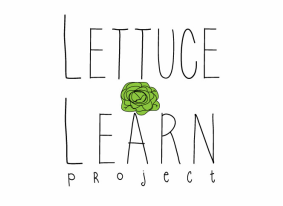 Lettuce Learn and join the school garden revolution! 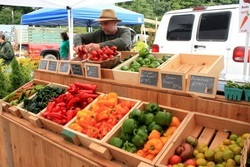 Make the Farmers’ Market a stop on your Tour! From 8 AM - 12 PM you can check out the local agriculture, horticulture, value added, and craft vendors and enjoy the lively atmosphere of “Boone’s Town Square Since 1974!” There will be live music, a local-food cooking demo, and childrens’ activities. You will find quality locally farmed meats, fresh produce, artisan cheeses, dried and fresh cut flowers, hardy local plants, delicious edibles, and a wide variety of quality crafts. You can even see some farmers in action before you visit their farms in the afternoon!